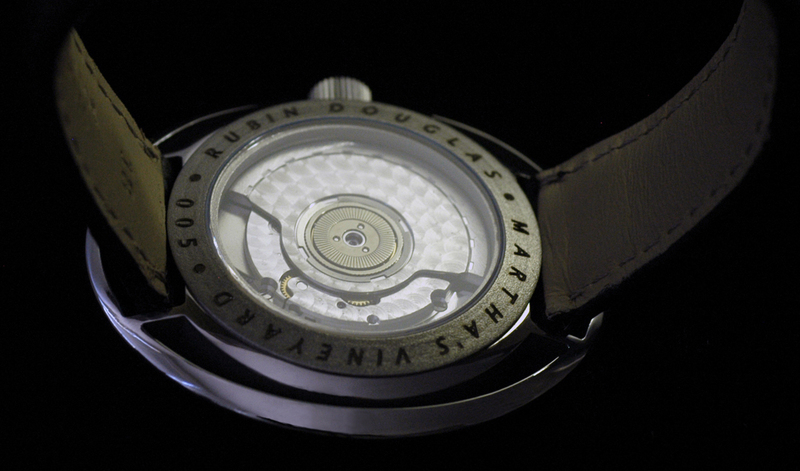 Dial: Handmade dial crafted on Martha's Vineyard by Tom DeMont. 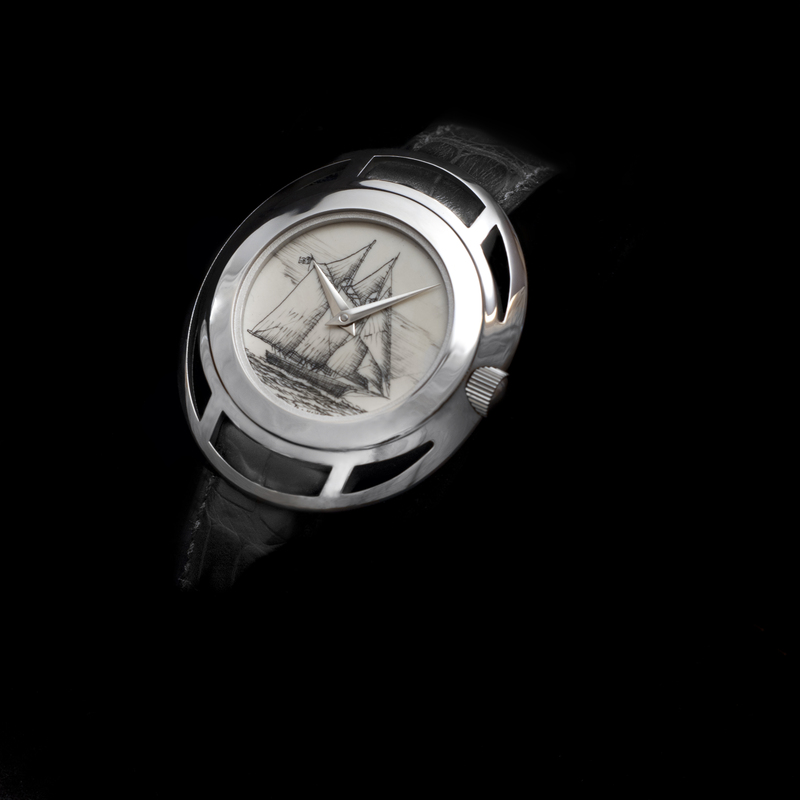 Dial features hand scrimshawed Elephant Ivory. (Whale Ivory available upon customer request) The Alice Wentworth was a 73 foot long schooner built in 1863 in Norwalk, CT. Originally named Lizzie A. Tolle, In 1863 she was sold to Charles and Arthur Stevens of Maine, where she freighted coal, lumber and salt. After they rebuilt her in 1904, her owners rechristened her the Alice S. Wentworth after a niece. In 1906, Zeb Tilton became the captain. Mr. Tilton purchased her in 1921 and remained the captain until 1942. The Alice Wentworth then went back to maine as a cargo vessel for 10 years before being sold several more times and sailed as a windjammer cruise ship.In 1965 the Alice Wentworth was purchased by Anthony Athanas of Anthony's Pier 4 Restaurant in Boston. Athanas moored her outside his restaurant until it was destroyed by a storm in 1974. She was 111 years old.